來自高雄的南部女生, 六歲開始學琴, 一路在音樂班受古典音樂訓練, 師大畢業後赴美國Manhattan School of Music 攻讀鋼琴演奏碩士, 紐約的多重黑暗與炫麗重疊賦予她另一層生命的色彩. 回國後專攻交通運輸業南北教琴兼課, 不知道這樣子到底為了什麼..2005年10月間開始嘗試做自己的音樂, 就放著MD按下錄音鍵讓音樂自己說故事, 2006年底集結部份作品錄製成"悲傷的鳥", 獻給一生真摯陪伴她心靈的好友-阿諾. 一種敘述. 紀錄著時間的河流中, 徘徊的情節, 雜沓的掠影, 或 已是永遠的停留. 當這一段聲波傳達到你的耳膜之際, 或許能聽見, 屬於你的故事. 紀錄著時間的河流中, 徘徊的情節, 雜沓的掠影, 或 已是永遠的停留. 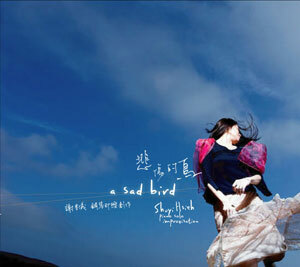 You can find the current cd, A Sad Bird, online at 誠品 Eslite, 佳佳 JiaJia, or CD Baby. Please see below for locations around Taiwan. If you know of somewhere else you would like to make the music available, please contact Shuyi. Available in all Eslite bookstores throughout Taiwan. Mail sent successfully, thanks for contacting Shuyi. © Shuyi Hsieh 2007-2013. All rights reserved.